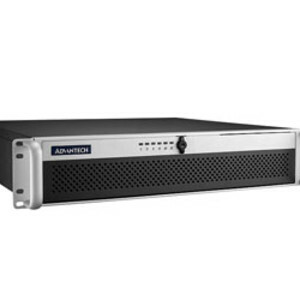 The Advantech ACP-2020 short-depth (398 mm), 2U rackmount industrial chassis is designed for factory automation or equipment building applications with space limitations, and which require a redundant power supply and hot-swap drive installation. The ACP-2020 has a modularised, intelligent and compact size industrial-grade chassis, and is designed to fulfil many market requirements with its 398 mm shallow depth. It has capability for expansion with dual hot-swappable disk modules and 500 W redundant power supply. Moreover, the ACP-2020 is equipped with an intelligent system module enabling self-diagnostics and remote monitoring of power, temperature and fan speed status. The ACP-2020 supports ATX/uATX form factor motherboards such as the AIMB-7/5 series and ASMB-7/5 series. It also supports two internal 2.5″ hard drive spaces, two external 2.5″ hard drive spaces, and an optional dual SATA hot-swap module which can be used externally. Power comes from a 350 W single power supply or 500 W redundant power supply. For those end users who have severe space limitations in equipment integration and still require systems that can deliver higher levels of computing power, high wattage output and RAID configurations, this product is a suitable solution. The shallow depth chassis leaves more space internally with careful cable arrangements for better air flow. With a total of four 2.5″ disk drive spaces, two of them can be converted into SATA hot-swap devices which provide the system with enough drive storage space for a RAID configuration. The 500 W redundant power supply allows usage of high-performance CPUs and add-on cards such as graphics or frame grabber cards. An intelligent embedded system module provides end users with remote monitoring of system health, which can reduce the frequency of costly on-site maintenance. 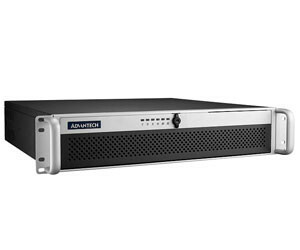 I am interested in Advantech ACP-2020 2U rackmount industrial chassis .